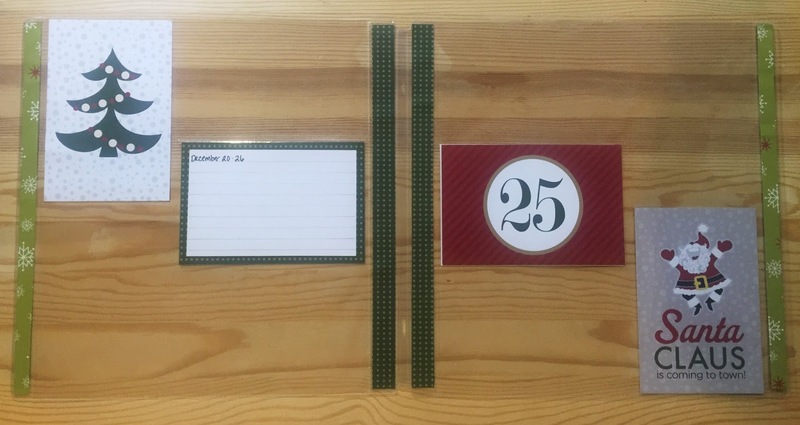 Each year I try to document the days leading up to Christmas Day in an effort to shift a little bit of the focus away from that one, single day, and take a wider perspective of the whole season of fun, family and giving. 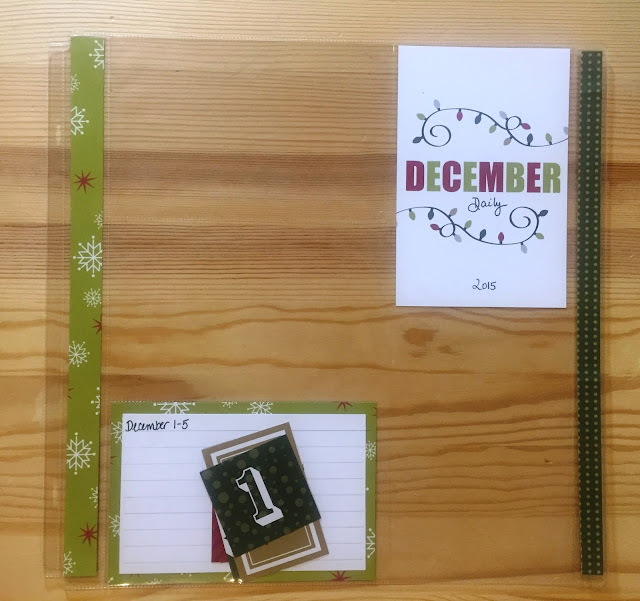 The concept of Ali Edwards' December Daily is a perfect way to capture all the memories. 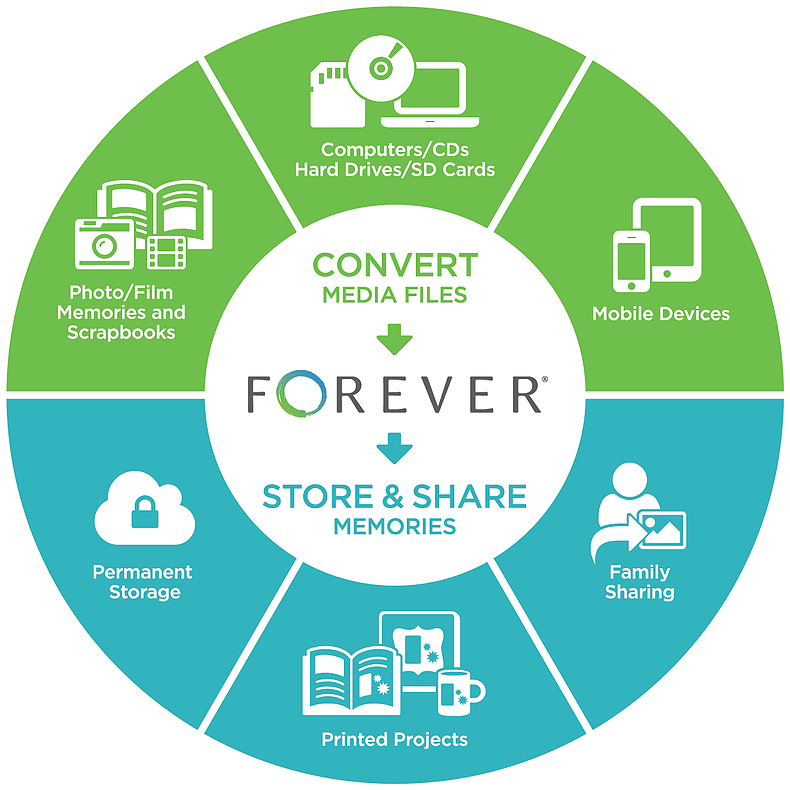 I've tried a variety of formats and each year has been a bit different. 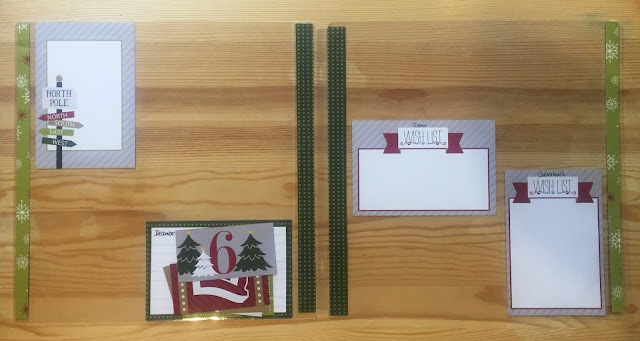 I've done several 6x8 and 8x8 albums, and even created mini handmade albums, but this year I plan on incorporating larger 12 x 12 December Daily pages into our main Family Christmas Album. I like to prep as much as I can prior to December so that once December 1st comes I can focus on capturing and recording the memories. (You can read about how last years album came together in this post and this post.) 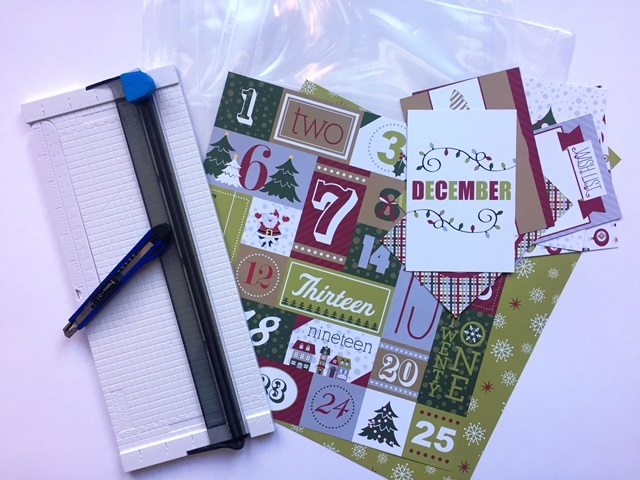 As with the Advent Calendar I shared you a few days ago, I'm using the new Creative Memories Christmas Joy collection (surprise!). For this project I'm using the 4x6 slide in cards along with a couple of sheets from the paper pack. 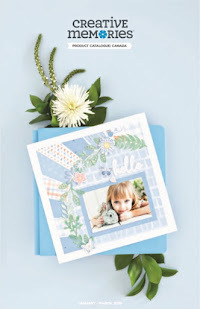 I'll also be using four Creative Memories 12 x 12 Pocket Pages which are a great way to add lots of photos to regular scrapbook albums. 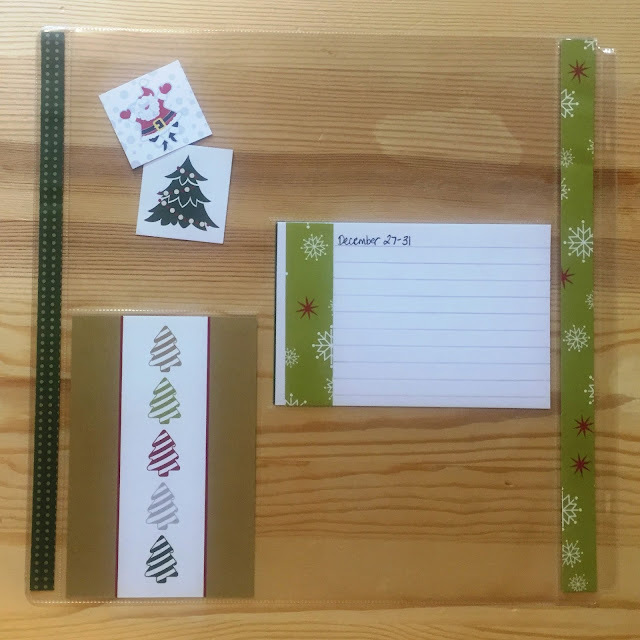 No adhesive is needed when you use slide-in or pocket pages, but since I'm using a bit decorative paper, I also needed my paper trimmer and an exacto knife to do a little trick (that I will show you in a minute!) with the pocket pages themselves. Look at the calendar and plan which days you will cover in each spread. I am not planning on doing a spread for each day, or even two days at the time this year - I think that a double 12 x 12 spread for each week will be plenty to capture the flavor of the season as well as some specific events and activities we participate in. So, I've planned on using one side of one pocket page for December 1-5, doing double page spreads for December 6-12, 13-19, 20-26 and then a final single side for December 27-31. Sort through the slide in cards pack. There are 24 double sided ones to choose from! 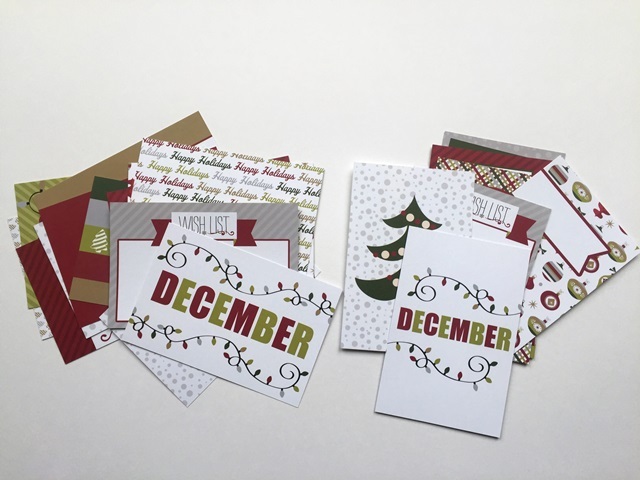 Choose one of the two "December" slide-in cards from the pack and add the words "Daily" and "2015" to it. 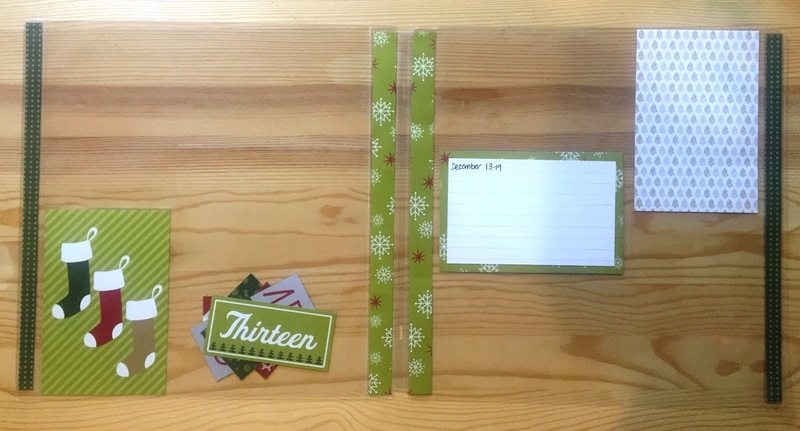 You can use letter/number stickers or stamps, or simply write it on with a journaling pen. Slip it into a pocket on the first page. Choose two to three cards for each week/spread. Slip them into a few of the pockets, knowing that these cards might change position or be switched out completely for another card depending on the events that happen during December. The important thing is to have a loose framework in place so you are not starting each page from scratch. Decorate the Pocket Pages themselves. These pages have spaces for five 4x6 photos or filler cards - two vertical and three horizontal - and because of this arrangement there is some extra space is left on either side. These empty strips bother some scrappers, but I see them as an opportunity for decoration. The strip along the inside edge of each page measures 3/4", and the strip along the outside edge measures 1/2". 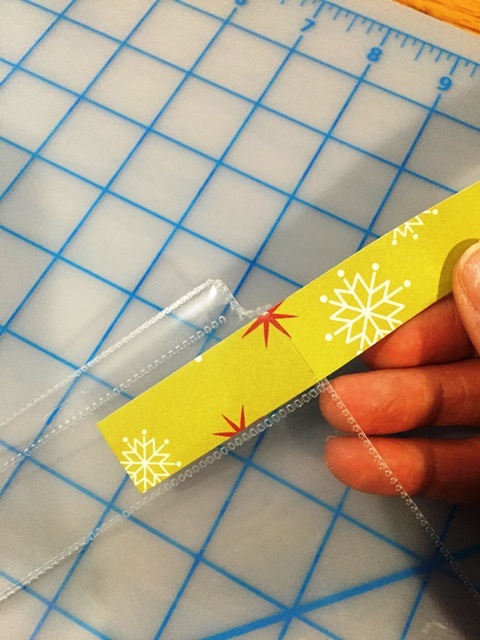 By carefully slicing a small slit at the top of each empty space, you have a long, slim pocket that you can slip a strip of decorative paper into! Choose your favorite double sided sheet of paper from the Christmas Joy pack and cut four 3/4" strips and four 1/2" strips. Slide a strip into each of the "pockets", flipping over the paper to display whichever pattern you like on each spread. Pre-make some easy journaling cards for documentation. 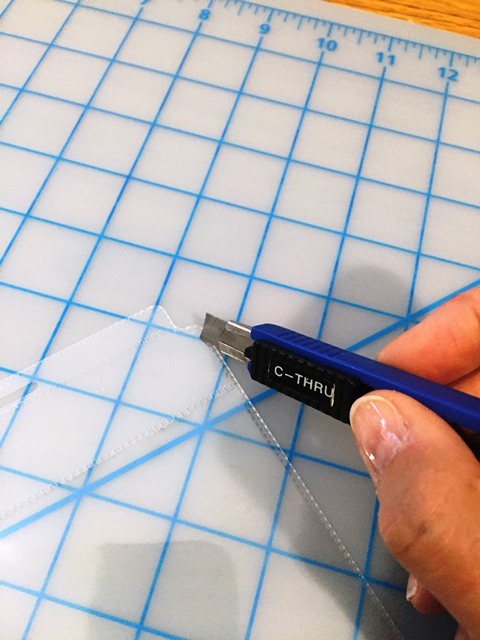 After cutting the decorative strips from the double sided paper, the remaining piece measured approximately 7 x 12. I was able to cut three 4 x 6 pieces from it to use as bases for my journal boxes. I cut pieces of white cardstock to 3.75 x 5.75 and adhered them each to each side of the patterned paper so I can write a little bit about each week. I made my fourth journal box from plain white cardstock and added a scrap of the leftover patterned paper to help it coordinate with the rest of the elements. I penciled in some writing guidelines on each journal box, wrote the dates for each week on them and slipped them into a pocket on each spread. Finally, cut the sheet with all the numbers apart. Each of these little numbers (and two cute icons) can now be added to individual photos as a cute embellishment to indicate the date. I slipped the date numbers for each spread into an empty pocket so they'll be handy if/when I need them. Each week I plan to review the photos I've taken, print them locally or at home, and slip them into the slots for that week. Depending on the photos themselves I may add, change or remove the slide-in cards that I've pre-selected and perhaps add the date numbers. Then, its just a matter of jotting some notes on the pre-made journaling cards. Hopefully this will be an easy way to capture the stories from this December! I'll definitely post some updates of my album later in the month. You still have time to set up some pages for your own December Daily album. 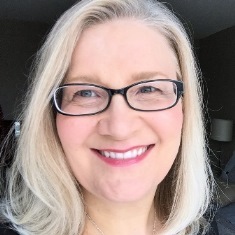 And right now is a great time to shop for the Creative Memories Christmas Joy items as CM is having a Black Friday sale - when you spend $90 (CAN) you'll receive free gifts worth over $60! 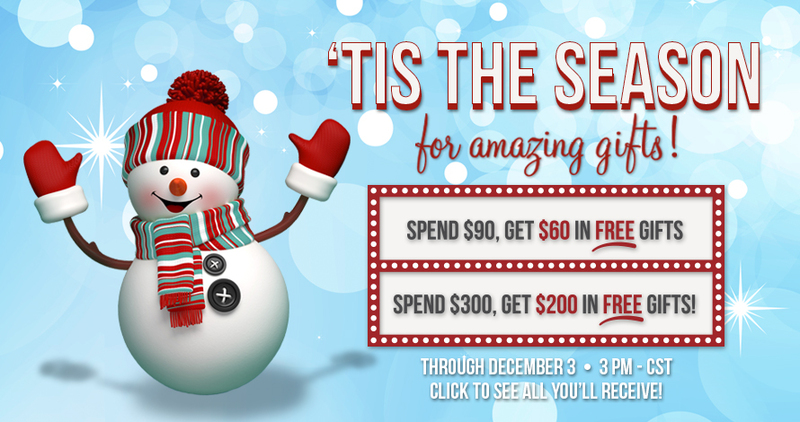 When you spend $300 (CAN) you'll receive free gifts valued at $200! Now is definitely the time to stock up on your basic album supplies, purchase Christmas Gifts or get those items you've had your eye on. If you are in Canada you can shop on my website at www.creativememories.ca/user/nsmith.